We have had a very hot summer here, and along with that, worse “Power Outage” problems. Sometimes the situation becomes unbearable because of too much heat, humidity, mosquitoes and no power. As summer is winding down, life will become more normal. With power outages of 14-18 hours, it has been hard to work, study or even sleep. We praise God for the protection we have received. We are all fine and healthy. The schools are going to be opened and we are going to have our regular weekly Bible Classes at the Christian High School again from the month of September. We used to have two Bible Classes weekly – one for the Primary section and the other for the Middle Section. Hopefully, we will be adding a third Bible class with High and Intermediate sections now. The Bible Classes are very effective and we praise God for providing us such wonderful opportunity to be able to teach hundreds of students weekly. We thank you for your prayer and support contribution. Our 25 Sunday Schools in different villages are working to equip and train more than 1,000 children of the villages. In spite of hot summer, Joseph has been visiting these schools on his motor bike and has always been encouraging the teachers and children to serve and grow in Christ. We want to request you to keep all these children and Sunday School teachers in prayer. And also please pray for our ministry and the providence from the Lord for this particular ministry for the children to help them grow strong in their Christian faith. 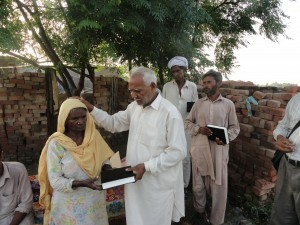 Thousands of Pakistani Christian villagers have received Free Urdu Bibles because of your prayers and support. The Urdu Bible is not printed in Pakistan, but South Korea. Every year the Pakistan Bible Society receives a limited number of Urdu Bibles. We are thankful to everyone of you for contributing towards this work of distributing FREE URDU BIBLES among poor Christian villagers. The need for the Bibles is really great. 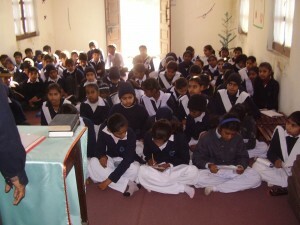 The Bible is not easily available everywhere, and not everyone from the remote villages travel to Lahore to get a copy. With your support, these poor villagers are receiving the Word of God at their door steps as we visit these villages. We request that you keep this project in prayer so that peop0le may continue to receive the Word of God. So many young people have started feeling great attraction to Mormonism and many other cults because of some financial and worldly support which is offered them by the promoters of these false faiths. Mormon leadership arranges their programs in great hotels like The Pearl Continental. They send young people to the Philippine Islands for missionary training, and this is really attractive for any Pakistani. People are joining them fast without knowing the truth about their beliefs. 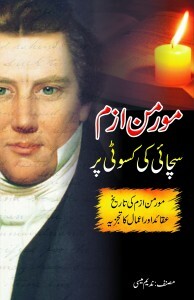 I’ve authored ten chapters of an Urdu language book about Mormonism. In my book, I’ve tried to share the Truth of the Word of God with love, and I’ve tried to show the difference between Mormonism and Orthodox Christianity. I am almost finalizing the book and will be sending it for proof reading and editing soon. I wish to write more books to share the Good News of our Salvation through the Shed Blood of our Lord Jesus Christ. Please pray for me to always follow the instructions of the Holy Spi9rit and write for the glory of our Lord. Please also pray for the financial provision needed to publish this book and to continue this project. Our whole family is fine – by the grace of God. Our son Joshua turned six years old last month. He is very smart and intelligent boy, he is very good in his studies. Our sweet daughter Rachael is three years old now and we are planning for her schooling also. We are very blessed and proud parents. We are thankful for your prayers for our family and the whole team. Joseph and his family is also fine and they all send greetings and love to you and your family. We love you and are thankful to you for the prayers and support of this ministry. God bless you! 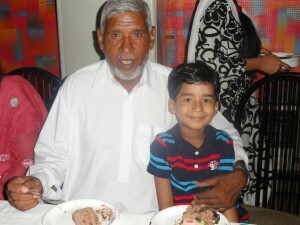 Joshua celebrating his 6th birthday enjoying birthday cake with his grandfather. 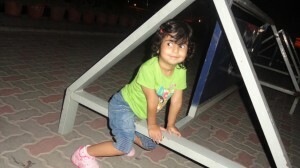 Rachael, age three, is active and loves to run, play and climb. Here she enjoys a visit to the children’s park. 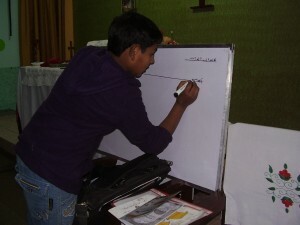 Farah handles the household, assists Nadeem in the ministry and is taking computer classes as well. 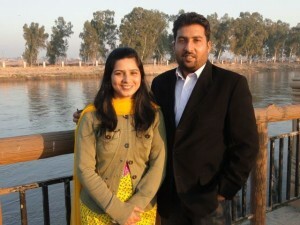 Her duties as wife, mother, student and aid to Nadeem’s ministry keeps her very busy! This entry was posted in Update Archives. Bookmark the permalink.